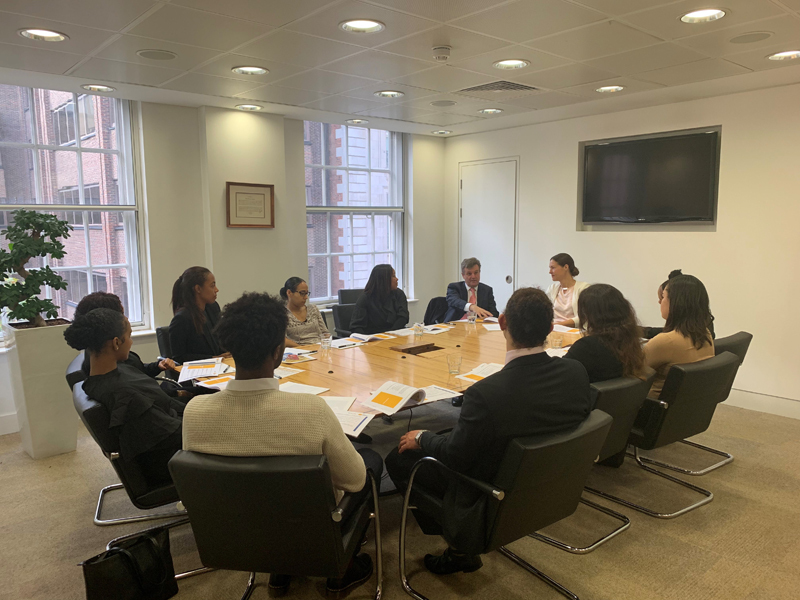 On November 29th, local Bermuda law firm, ASW Law Limited [ASW], hosted a ‘Lunch-n-Learn’ seminar at the Government of Bermuda London Office for Bermudian students studying in the United Kingdom. Students joined the ASW team for a presentation and open discussion, which included an introduction to ASW and the practice of corporate law in Bermuda. Facilitators of the event were ASW’s Neil Horner [Head of Corporate], Dr. Kim Willey [Senior Counsel Consultant], Waynette Hollis [Consultant] and Samantha Saunders [Associate]. Mr Horner said, “ASW was impressed with the calibre of law students in the UK. This event was a great way to meet Bermudian students, put faces to names and engage with them about the dynamic Bermuda legal market as well as the strong corporate practice of ASW”. Kimberley Durrant, Director and UK Representative reports, ‘It is our pleasure to have hosted the ASW lunch and learn event in the Bermuda London Office. This is the value of having a space in the UK where not only the Government but Bermuda industry can effectively interact with Bermudians studying and living in the UK for positive engagement.